Reader Girls hosts the Lady Runaway Book Tour today. Author Ginger Hanson let us interview her and we hope you'll delight in her replies as much as we did. The author is also sharing an excerpt with us and news of her giveaway. We welcome Ginger Hanson and you to our blog today. It's refreshing to see how you've switched the roles of the main characters in your novel. She's a thief and he wants to save her instead of the other way around. Why did you switch and was writing this story as much fun as it sounds? GH: The idea that Lady Riana is a thief lies more in Dev’s imagination than reality. Although Riana quickly devises a plausible reason for having hidden the jewels on her person, Dev isn’t sure what to believe. And yes, writing this story was a lot of fun. Especially writing about Riana, because she’s a feisty female who has decided to take control of her life. Circumstances put her into several dangerous situations, but in dealing with them, she gains self-confidence. Once Dev enters the story, Riana must hide behind a persona she invents to protect both herself and Dev from society’s censure. My one sorrow is that most of the research I did on early 19th century medicine ended up on the cutting room floor. On the plus side, the information helped me create Dev. 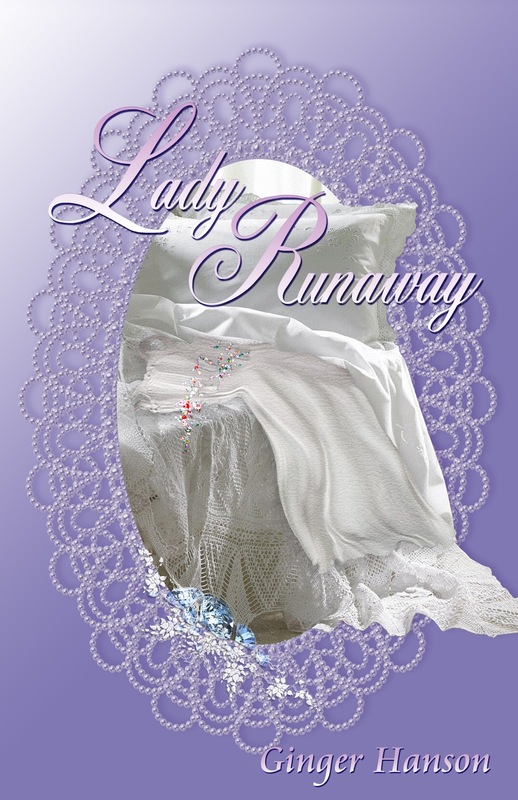 Can you share with us how Lady Runaway came to fruition? GH: Lady Runaway originated in a dream scene that lodged itself firmly in my brain. I couldn’t forget it. The scene involved a young woman hiding in a London alley. She is pulling her hand, sticky with her own blood, away from her chest. The scene captivated me and I started a file, worked out an outline and sketched out possible characters and motivations. At the time, I was trying to get a Civil War-era romance published. An editor at Harlequin had that manuscript almost a year. She returned it with a note that apologized for its scruffy condition, but added it had been passed around the office and everyone loved it. But (isn’t there always a but? ), the senior editor didn’t really care for the Civil War era. She already had a writer who wrote that type of romance and wasn’t interested in adding another. This editor wondered if I had any Regency romances because they were popular. In a telephone conversation with the editor, I pitched the idea for Lady Runaway and she loved the idea of a Regency era doctor. (I did, too, until I realized what little esteem they had in those days!) We agreed I should write the manuscript and submit it. Thus, I wrote Lady Runaway for an editor at Harlequin. My publishing luck held true and the editor went on maternity leave about the time I finished and submitted the manuscript. Lady Runaway was shuffled through the system and received a form rejection. It’s quite a blow to go from discussing a project with an editor to a form rejection! Alas, it has happened to me several times in my quest to be published. I was still trying to find a home for my Civil War romance but decided to revise Lady Runaway and use it as an agent submission. Agents don’t want to see a manuscript you’ve shopped everywhere and I figured I’d just tell anyone who signed me that this one had been to Harlequin but no other editor had seen it. My plan worked. One agent was reviewing the manuscript and a second had requested it when I received an offer for a two book contract for my Civil War romances. Although my agent wasn’t able to place Lady Runaway while we were a team, the editor at Twilight Times Books offered me a contract two weeks after I submitted it to her. When I got an offer on a second book from another editor within a few weeks, I realized what a wonderful opportunity small publishers offer writers. It opens the door to more editors whose taste vary. Face it, book publishing is subjective. What one editor loves, another may well despise. Today’s mega-publishing companies shut out a lot of writers because as they consolidated smaller companies, opportunities for getting published shrank. It makes finding an editor who loves your writing more difficult because there aren’t as many of them. Agents became the clearing house for the publishing companies, putting yet another obstacle between the writer and the reading public. That’s what I love about small and digital publishers as well as self-publishing. They offer more ways for a writer to reach readers and I think that benefits us all. And now I’d like to thank Reader Girls for inviting me to visit their blog! Dev ran the damp cloth along a pert nose, then spread cooling relief along the dark auburn eyebrows. In the still hour before dawn, the fever broke. Looking down at the woman, satisfaction rippled through Dev’s tired body. He had saved a life. Her tongue slipped out to lick at lips cracked from the heat of the fever. He dipped his finger into the water pitcher and ran his damp finger over parted lips that beckoned him as no others had ever done. Without another word, he took her in his arms and nestled her head against his chest. When her rich brown eyes finally opened, they stared through him and saw Nicky. His mystery woman from the alley gazed up at him, the soft love in her eyes pulling him into the fantasy of being a man who had every right to lean over and kiss the waiting mouth. Once again, the response warming the pit of his stomach caught him by surprise. He could not figure out why she evoked these feelings of passion mingled with protectiveness even as he damned Nicky to hell for having captured such a prize only to let her go. Yet who was the true scoundrel? Nicky? Or himself for lusting after a wounded, delirious woman who thought he was her lover–or husband. Special Discount for Lady Runaway this week only! Twilight Times Books is offering the ebook version of LadyRunaway at a 50% discount from the Twilight Times Books web site, Amazon Kindle and Barnes & Noble Nook only for the week of this blog tour. About the author: Ginger Hanson is a former college history teacher who found writing historical romance a natural outlet for her love of history. 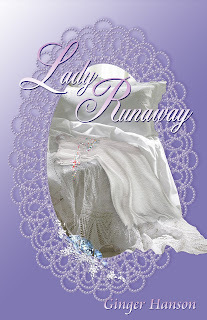 While Lady Runaway is her first foray into the Regency period, her two award-winning Civil War era historical romantic adventures were published in 2004. 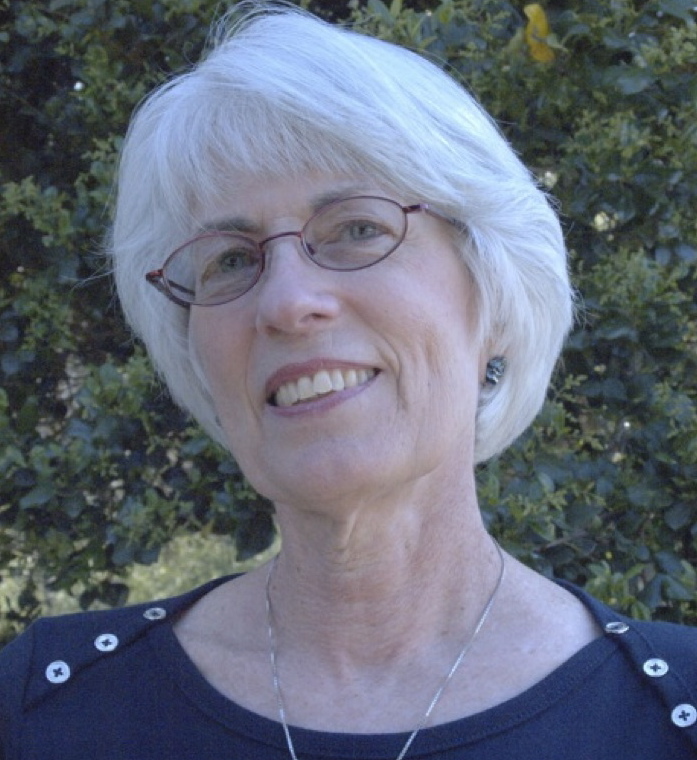 Ransom's Bride scored success as the winner of the 2005 Gayle Wilson Award Of Excellence and was a finalist in the 2005 Holt Medallion Contest. Tennessee Waltz was a finalist in the 2005 Maggie as well as the Gayle Wilson Award of Excellence in the Historical category. Ginger also has two published contemporary romance novels set in the fictional small town of Tassanoxie, Alabama. The series slid into ebook only format with a 2011 Christmas short story, A Christmas Diamond for Merry. GIVEAWAY! Ginger will be giving away a $10 Barnes and Noble GC and the choice of either a print copy of How I Wrote My First Book: The Story Behind the Story which includes “Ten Lessons I Learned from Writing Quest for Vengeance" by Ginger Hanson OR a new paperback copy of Ransom’s Bride by Ginger Hanson to one randomly drawn commenter during the tour. We thank Ginger Hanson and Goddess Fish Promotions. Laurie is reading (and enjoying) this title. Her review will be up soon. Thank you for hosting Ginger today! I LOVE this book already, and I have only read the review. I love Regency stories with a twist. Thank you, Readergirls for hosting me today. Just wanted to add the news that my publisher was able to get several other ebook distributors on board for this week's tour. All Romance, Fictionwise and OmniLit are also participating in the discounted price. Check out my website at www.gingerhanson.com for the links. I'm looking forward to your comments and will be back later this morning to check in! What great background on how the novel came to be published. As a librarian, I'm interested in the mechanics of what many authors have to go through to get their books out there. That's changing so much with indie and self-publishing, but that also opens up so many new difficulties for libraries & librarians. Catherine, I sometimes think I've spent more hours in a library than any where other than my house!! I've been a Friend for years, been on the Library Board and volunteered as a worker and also been paid staff!! One of my regrets in going more into ebooks has been how to get them into readers hands via our local library. I know there are some services for ebook downloads, but our director hasn't gone in that direction yet. It's a shame that the bigger publishing house determine what I, as a reader, will be reading. And as sketchy as it can be sometimes, I believe the indie and self-publishing is the way of it now. Right now, I'm deeply immersed in Regency Era books, but I happen to love civil war era stories as well as stories from the Antebellum period. In fact, I just watched an old film 'Beulah Land' that I got from Netflix. It was really a saga with a runtime of about 6 hrs...but it was so very good. Haven't read a good book written in this time period for a long time. That's really interesting. It's always amazing how authors struggle to get published. Very good interview and excerpt. You're so right! As the publishers consolidated, that meant even fewer houses and editors who decided what would be published. Indie and self-publishing has changed the game completely. I love the CW era, too. I would have continued writing books from that period, but the editor who loved them resigned and the new editor didn't care for the period. Right now I'm learning all about Smashwords to self-publish. I have to get the paperback into digital b/c although I have a copy of the original mss, the copy edits were done by hand on a hard copy and they never sent me the final copy in digital format! For Lady Runaway, everything was done in digital format. And it was only 6 yrs between the books. Of course, "only" seemed like forever while I was trying to get another book published! !